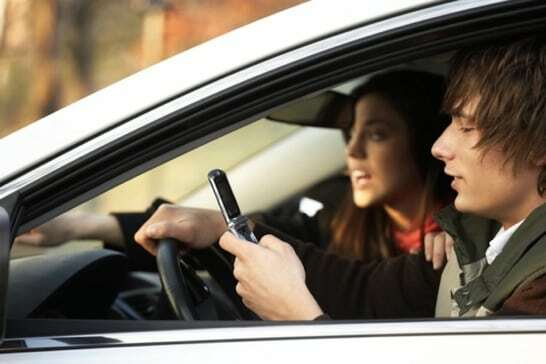 At Hardy, Wolf & Downing, we are convinced that many motorists in our state and throughout the country don’t understand the responsibility they have to avoid distractions such as cell phone use when they get behind the wheel. And we have seen the consequences in lives lost or damaged due to distracted driving accidents when drivers chose to text or talk while behind the wheel. For many victims, filing a texting and driving accident lawsuit in Maine is an effective method to hold negligent motorists accountable for their actions. All Maine drivers are prohibited from texting while driving and violators may be fined if they are caught doing so. However, if texting and driving results in a car accident, this may be a factor that a judge and jury will consider in terms of the appropriate penalties. Clearly, a motorist who texts and drives bears significant responsibility for such an accident. And while he or she can never completely reverse the damage done in the case of a wrongful death or serious injury, such motorists owe victims and their families monetary damages for all related losses, which may be best recovered through litigation. If you were hurt in a crash that involved a texting or distracted motorist, our Maine car accident lawyers will fight for maximum compensation. While a cellphone ban is one appropriate response to irresponsible and distracted driving practices, offending motorists also owe compensation to the people they have injured with their actions. Hardy, Wolf & Downing is a law firm that has been representing the interests of Maine residents for more than 30 years. We help injury victims in the Portland, Lewiston, Auburn, and Bangor areas. Statistically, distracted driving results in about as many accidents as drunk driving and people who text while driving need to be held liable for their negligence. Contact our offices at 888-915-5269 to set up a no-cost case evaluation with one of our car accident attorneys in order to better understand your legal options.